On Friday 13 May come to the Night of Museums in MOCAK. On the day, the Museum will be open only from 7 pm until 1 am. The last entry time to the Museum at 12:30 am. During that time the visitors will be able to view all the exhibitions free of charge as well as take part in guided tours, events and competitions organised especially for the occasion. Guided tours and workshops will be conducted in Polish. Participants are requested to arrive at the MOCAK reception 5 minutes before the start of the tour. Between 17 pm – 10 pm adults and young people are invited to a series of evening mini workshops as part of The Humanist’s Collection. In each one‑hour session we will become acquainted with the different work from the Mieczysław Porębski collection and interpret it creatively. The participants of the specific workshop will have an opportunity to create an original portrait, an unusual musical score or a mysterious map. The workshops are free of charge. 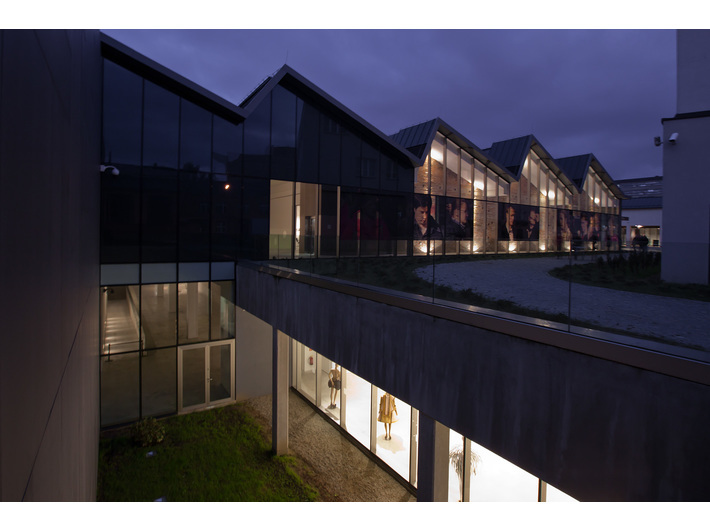 Please pre-book on; edukacja@mocak.pl or by phone: (+48) 12 263 40 29. Workshop on Ryszard Winiarski’s work Portrait of Mieczysław Porębski, from 1980. Workshop on Jan Tarasin’s work Unexplained Situation from 1995. Workshop inspired by the work Ideograms in Squares by Zbigniew Makowski from 1967. The workshops are part of the project A Hundred Lessons about the Collection financed by the funds of the Minister of Culture and National Heritage. Participants are requested to arrive at the MOCAK Library 5 minutes before the start of the tour. Visitors will be able to take part in a photographic competition related to the exhibition Medicine in Art. All you need to do is take an interesting photo of yourself inside the Museum or take a shot of a work of art presented at the exhibition* and publish it on social media (Facebook, Instagram or Twitter) with the tag #medicineinart. 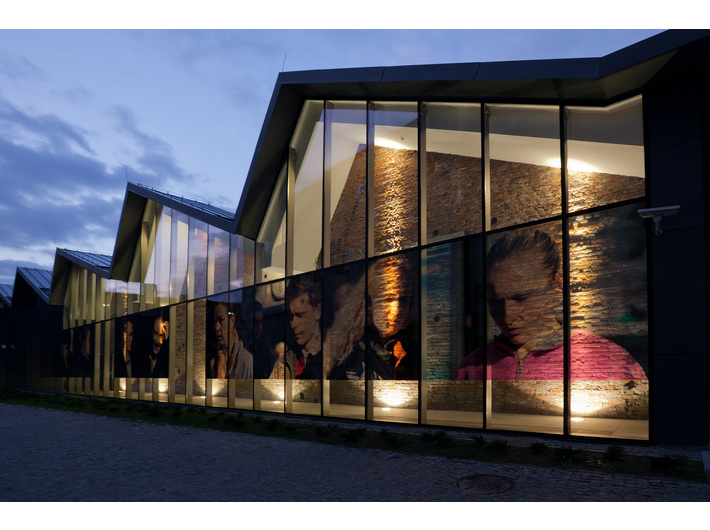 The most interesting photographs will be downloaded in real time and projected throughout the night on the screen in the main foyer in front of the entrance to the MOCAK Café. The authors of the 10 best works will that prizes in the form of publications and assorted objects. The results will be published on the Museum’s fan page on 17 May. During this year’s edition of the Night at the Museums, each visitor to MOCAK will receive from the Museum a prescription specifying the correct dose of art that here she will be able to receive at the exhibition Medicine in Art. Once the visitors have located the indicated work in the exhibition and performed the tasks set, they will place the prescription in box provided in the foyer. The MOCAK team will study carefully all the results of the treatment and on 20th of May will publish on Facebook the most difficult therapeutic cases treated with art. The authors of the most interesting and unusual interpretations will be rewarded with MOCAK publications. *The competition will be conducted in Polish. MOCAK Bookstore: during the Night at the Museums all purchases in excess of 50 zloty will receive a special free gift and there will also be a 20% discount on selected MOCAK publications. In the Museum ticket office you can buy souvenir Night at the Museum coins at 1 PLN each. That night, throughout the MOCAK premises there will be a collection of donations for aid to the victims of the war in Syria, organised by PAH, Polska Akcja Humanitarna. We urge you to support the humanitarian mission which PAH has been running in Syria for its citizens.